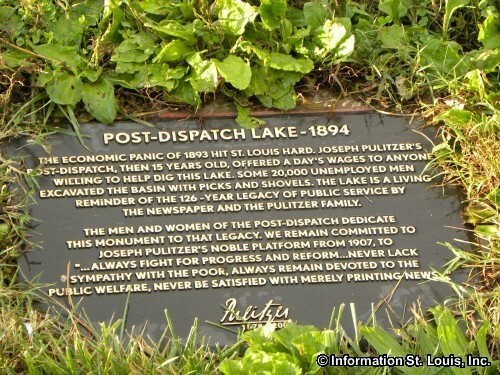 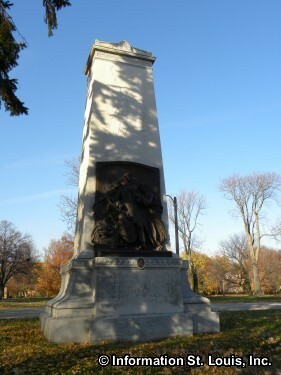 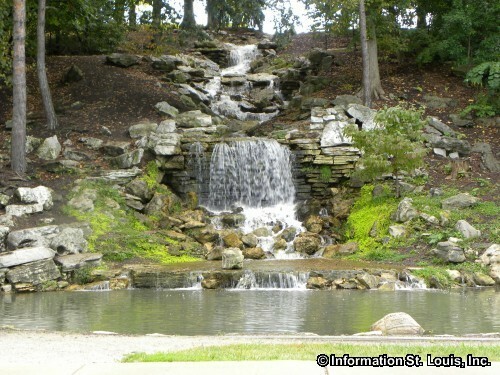 Forest Park was established in 1874 as one of the largest urban parks in the United States. 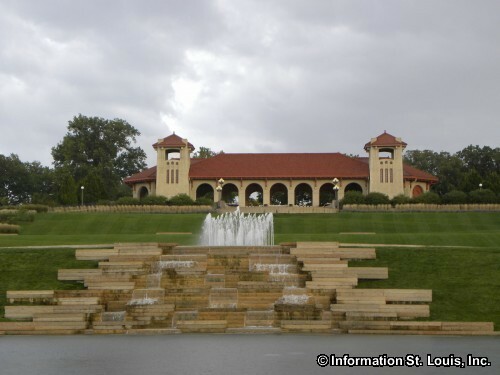 It officially opened to the public in 1876 and was the location of the 1904 World's Fair (the Louisiana Purchase Exposition of 1904). 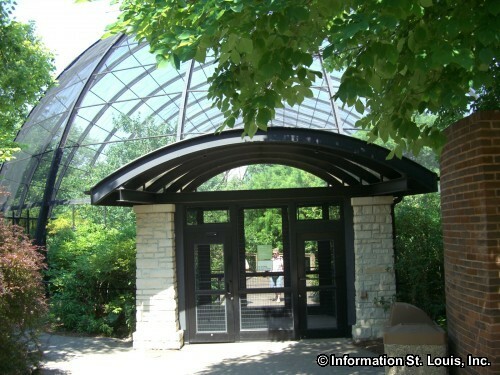 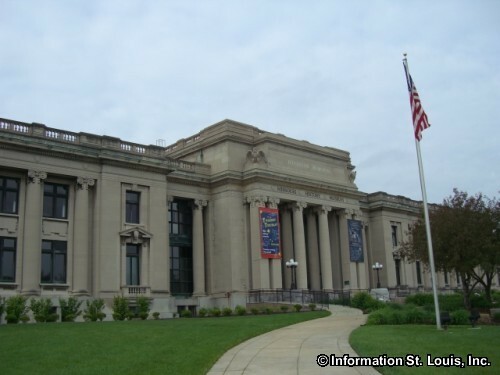 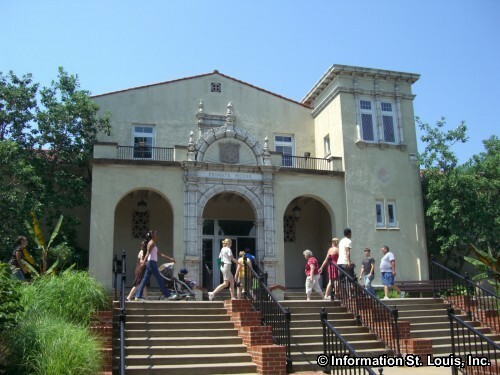 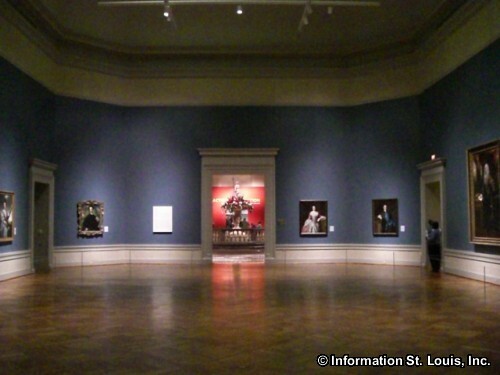 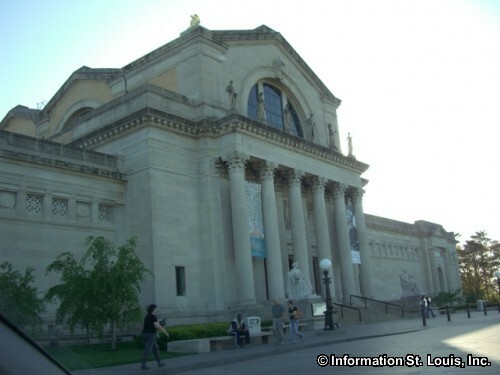 Several structures from the Fair still exist today, the St. Louis Art Museum and the 1904 Flight Cage. 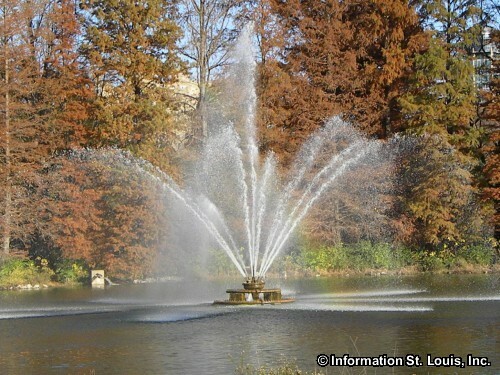 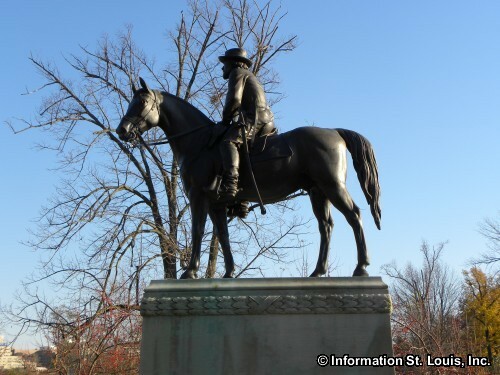 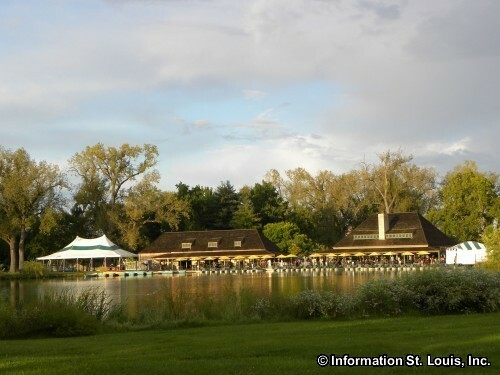 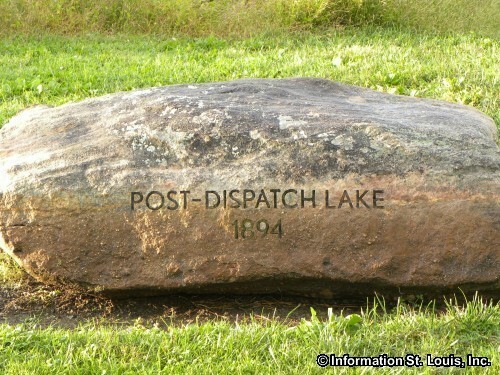 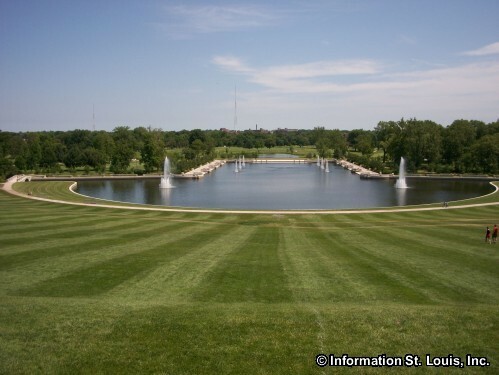 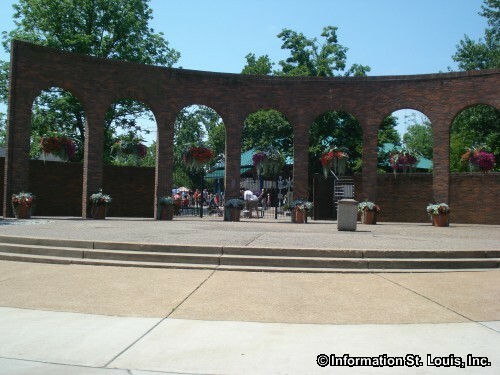 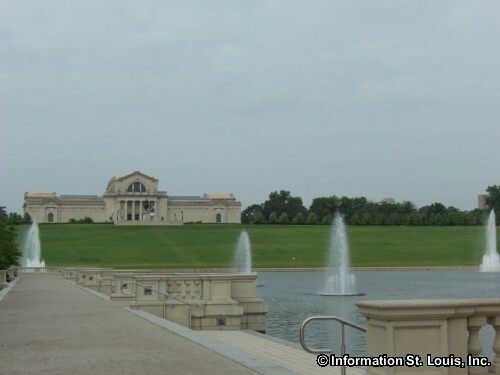 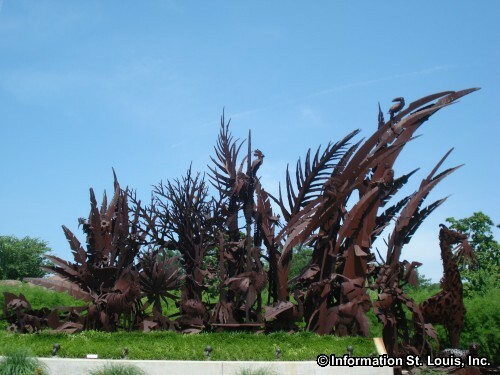 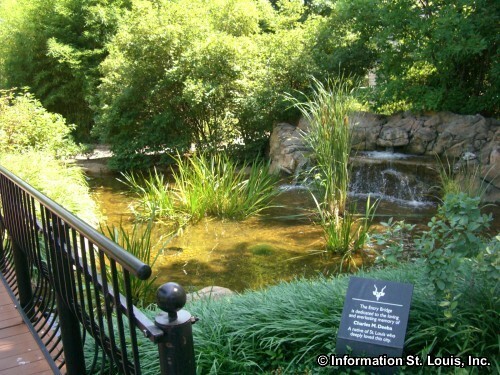 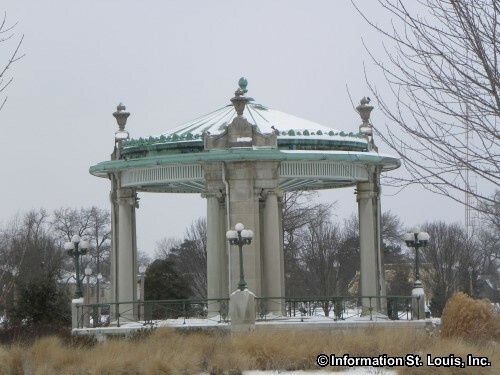 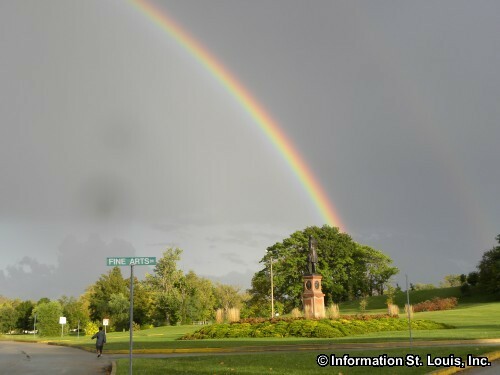 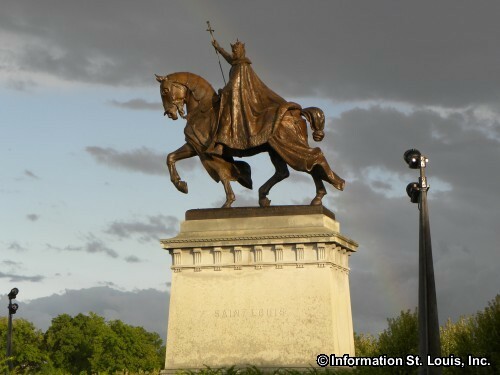 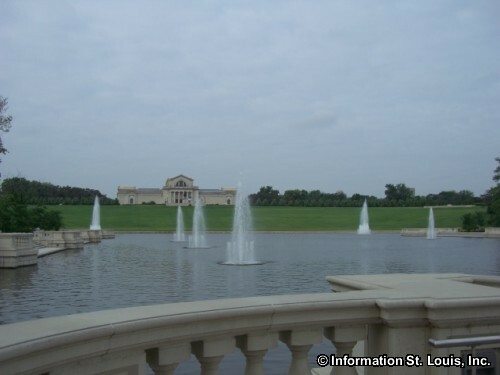 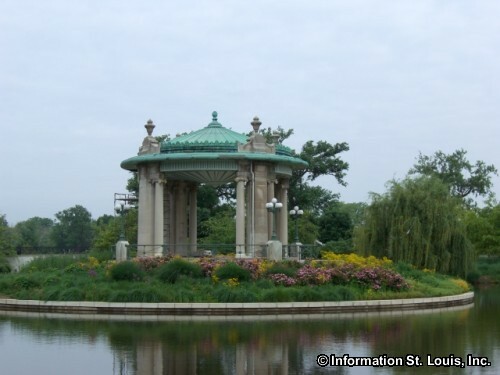 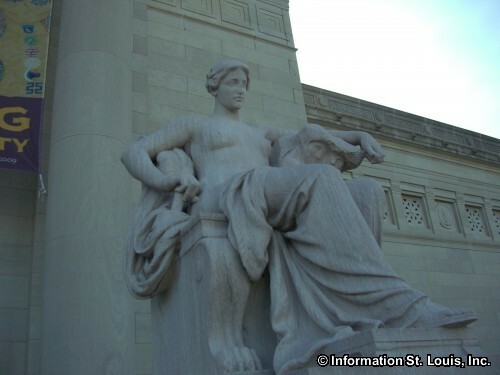 In 2004, the City of St. Louis completed a $100 million face-lift to Forest Park to celebrate the 100 year anniversary of the 1904 World's Fair. 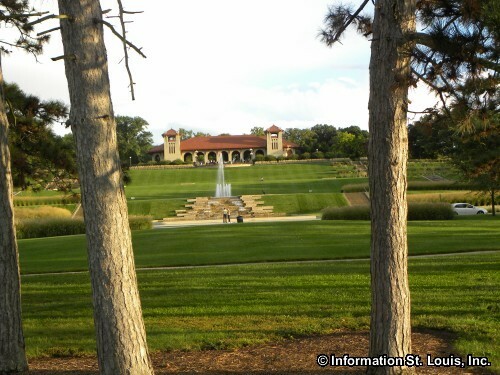 Forest Park attracts more that 12 million visitors each year. 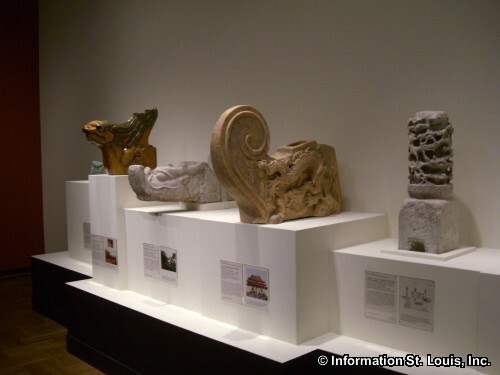 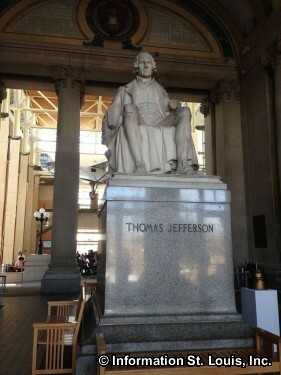 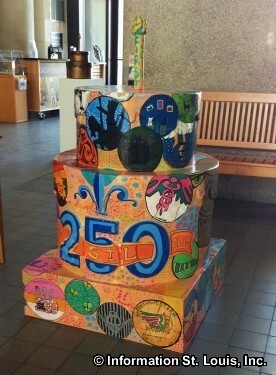 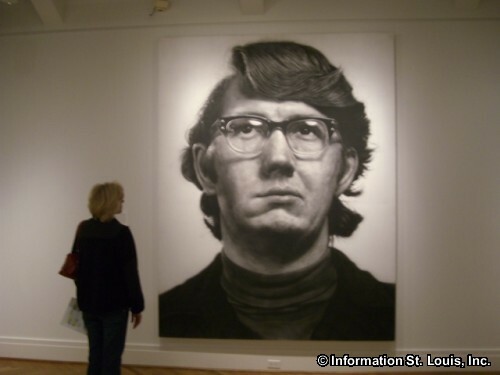 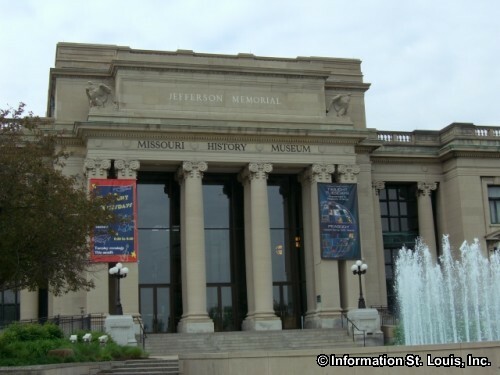 It is home to some of the region's cultural attractions including the St. Louis Art Museum, the Muny Opera, and the Missouri History Museum. 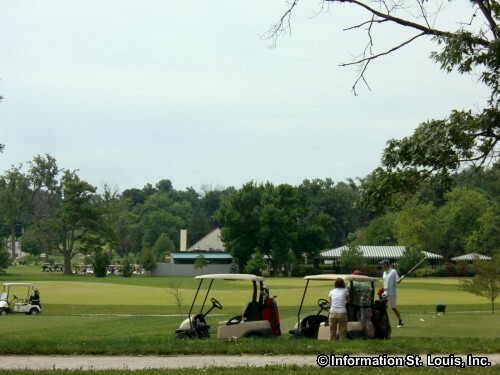 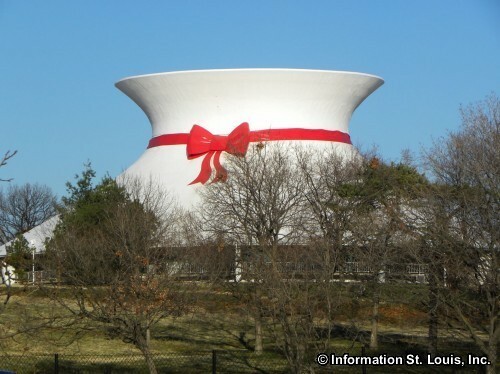 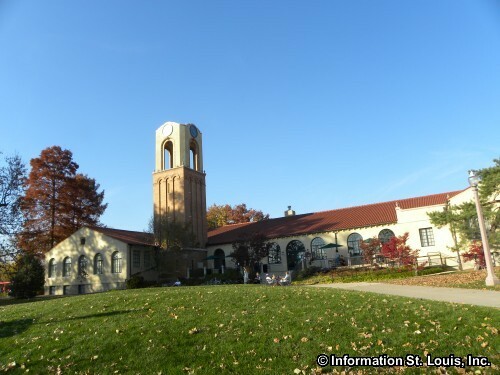 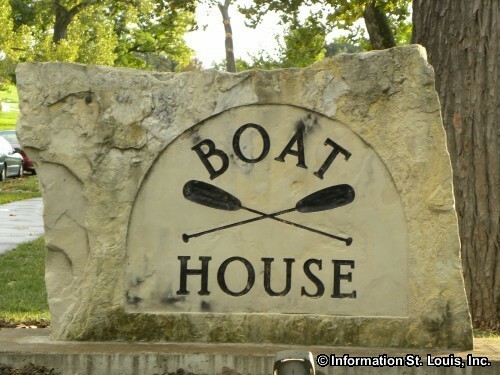 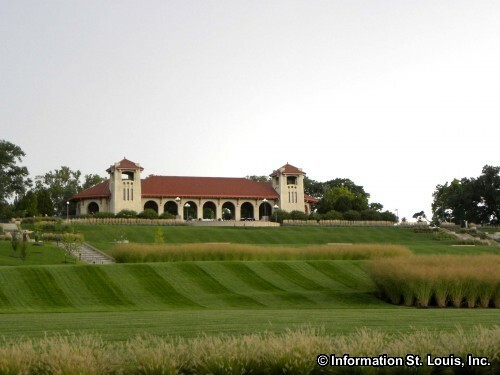 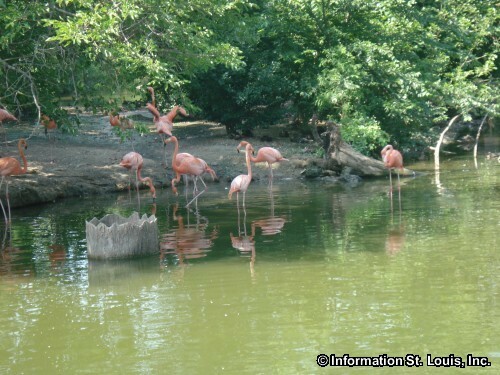 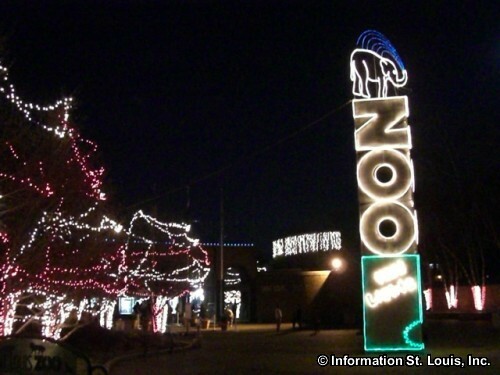 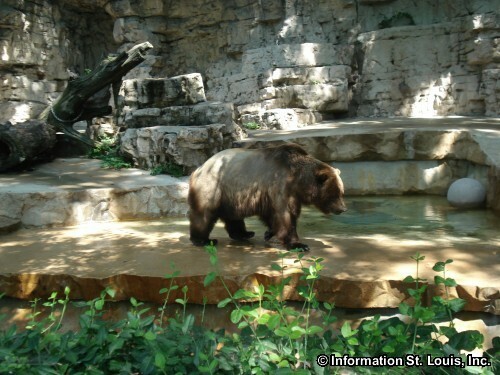 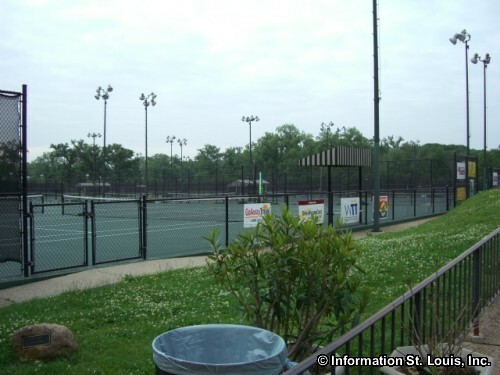 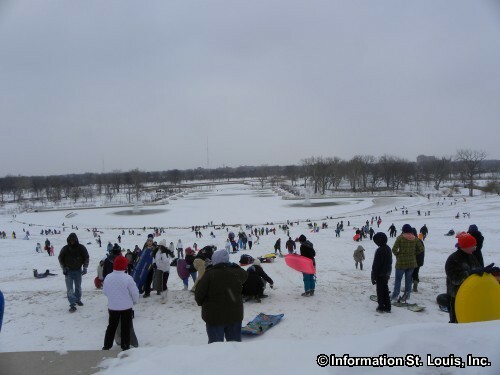 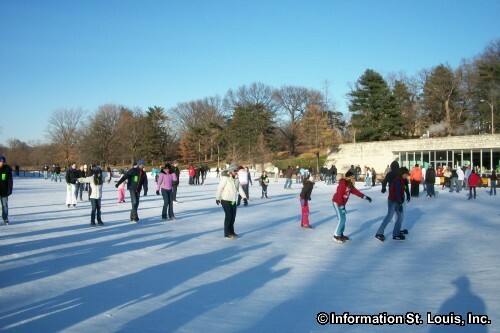 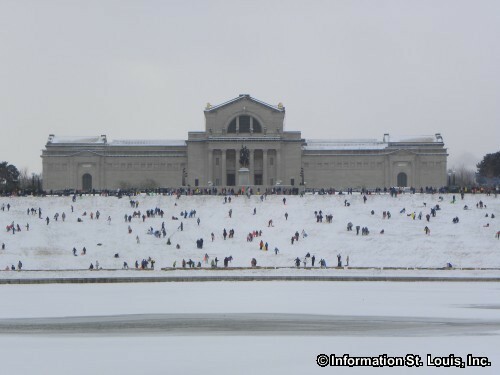 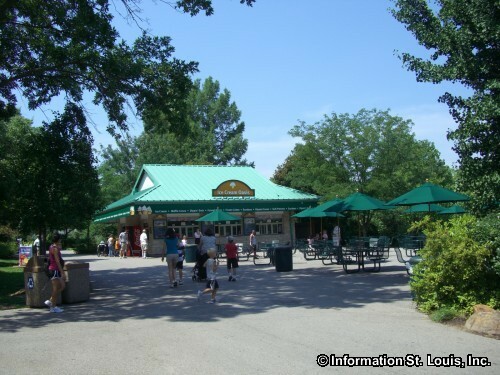 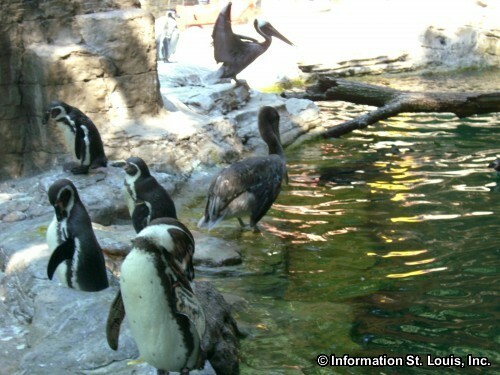 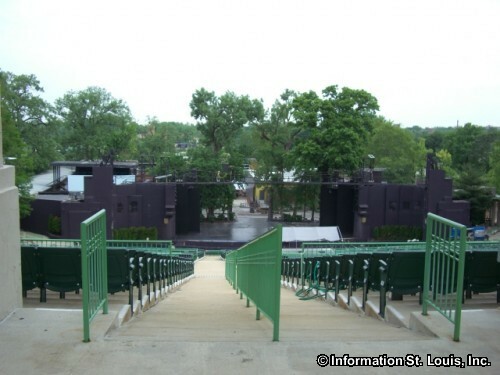 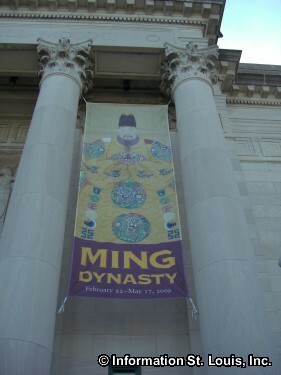 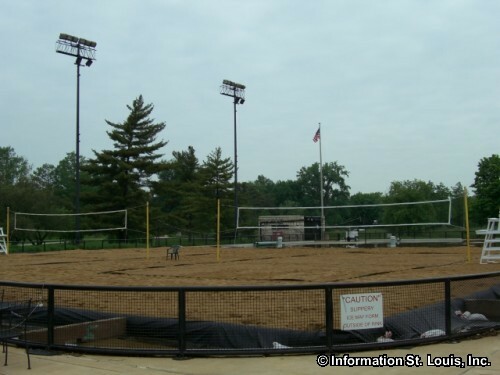 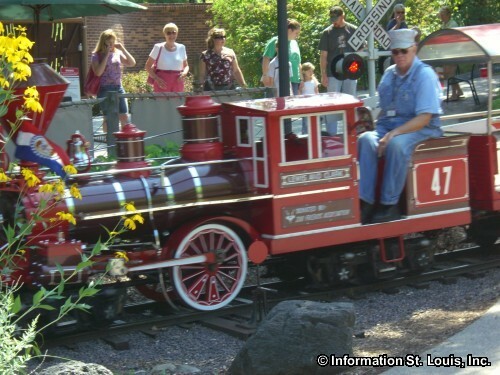 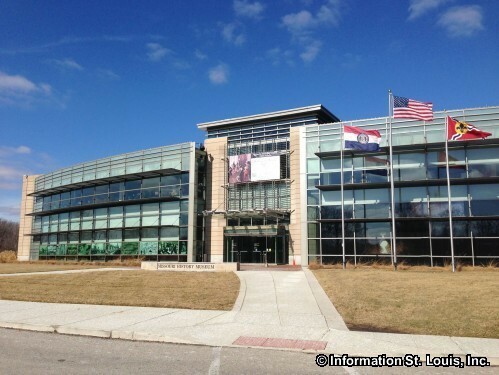 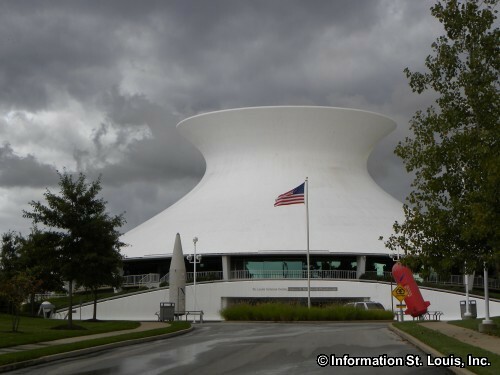 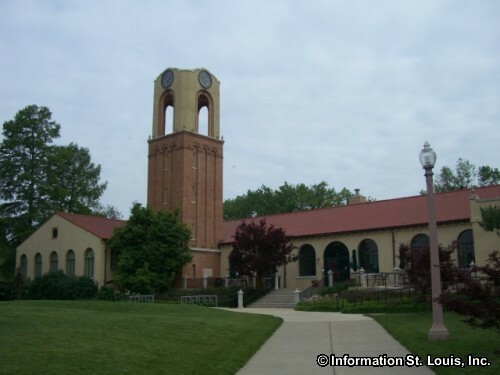 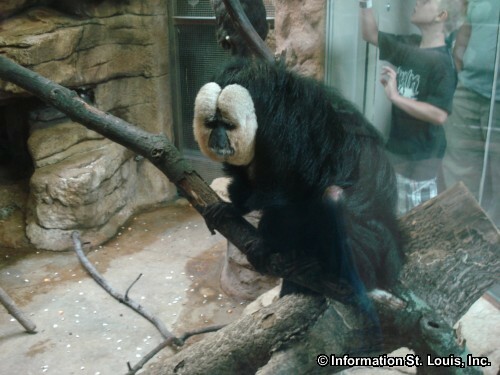 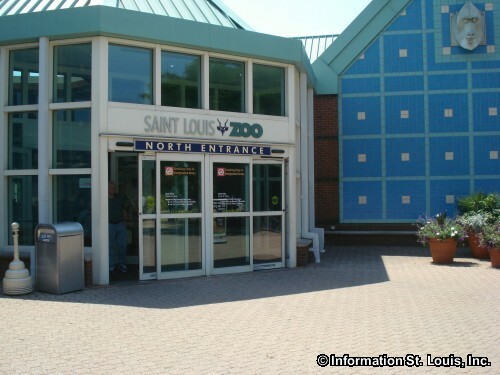 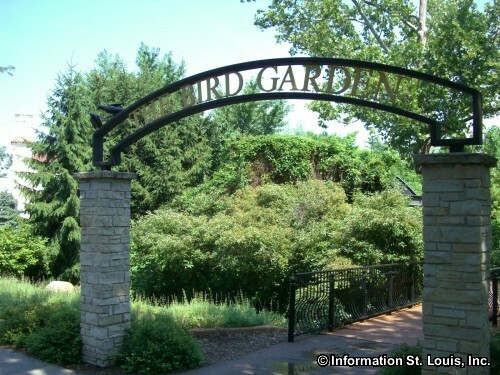 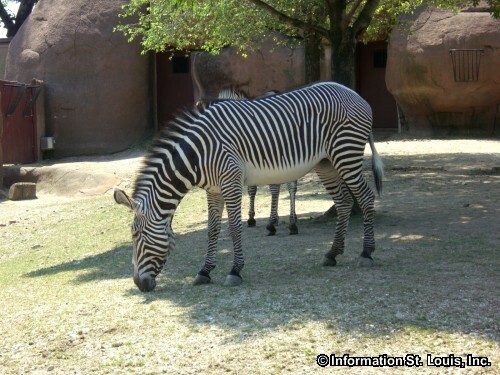 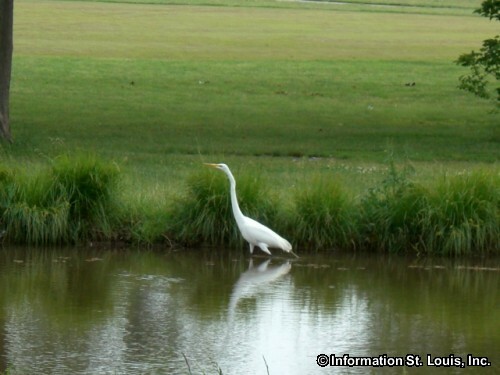 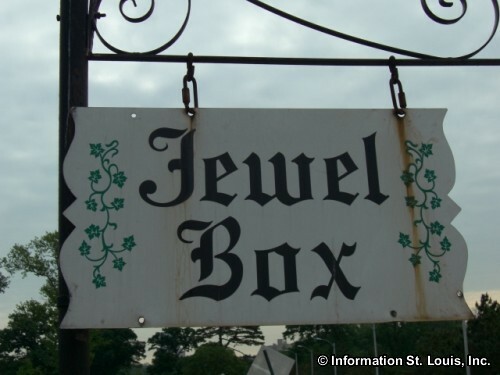 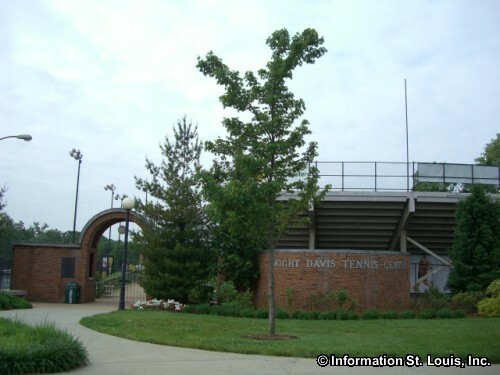 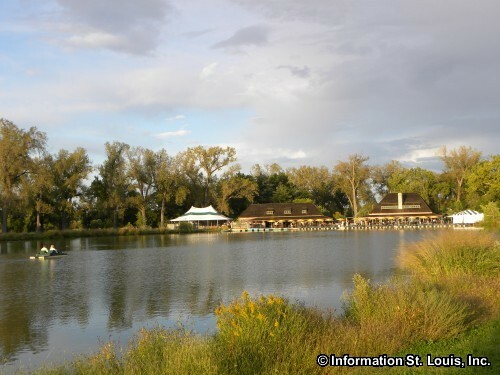 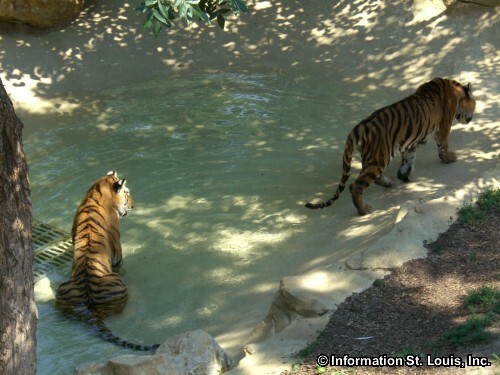 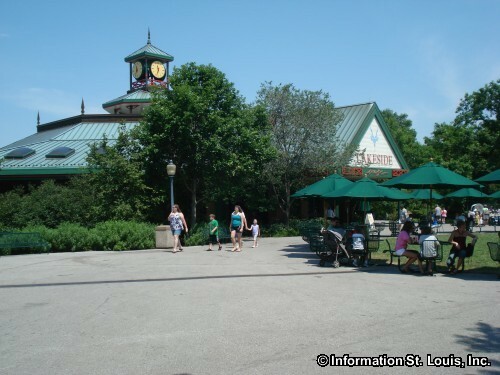 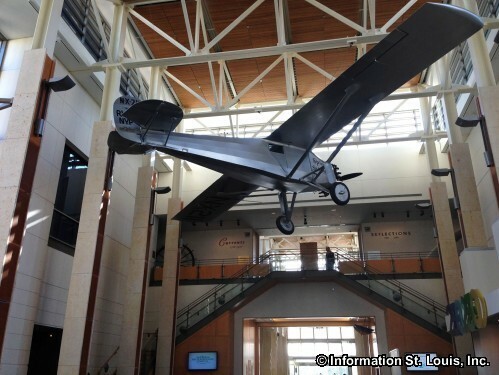 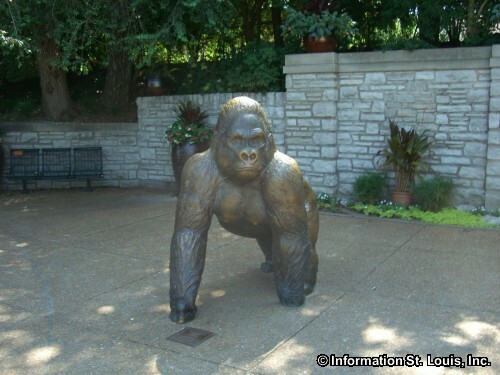 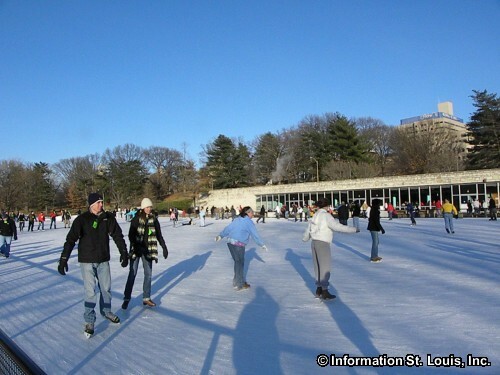 Other attractions include the Jewelbox, the James S. McDonnell Planetarium, the St. Louis Zoo, Steinberg Skating Rink, Dwight Davis Tennis Center, and the Norman K. Probstein Golf Course. 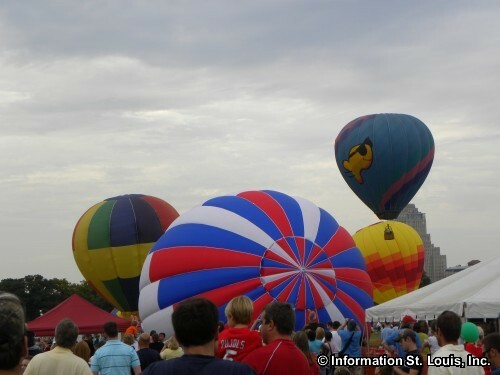 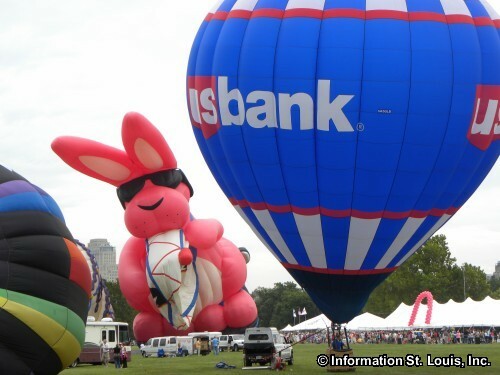 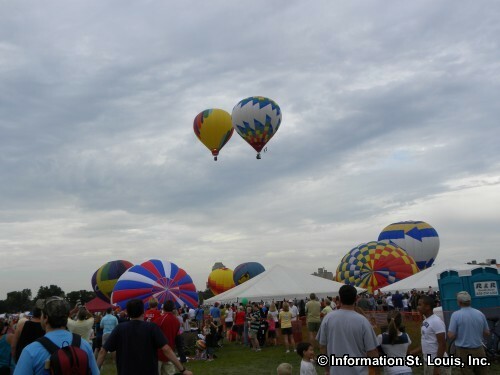 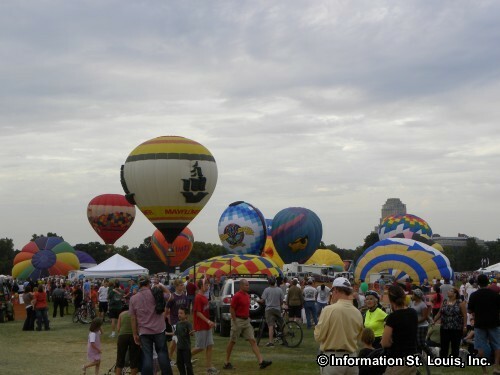 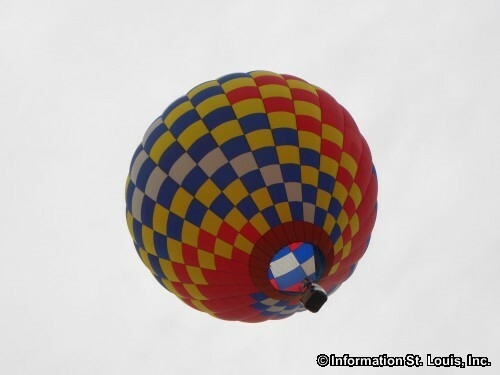 Forest Park hosts the annual "Great Forest Park Balloon Race" every September, the St. Louis Wine Festival in October and the St. Louis Shakespeare Festival in late May and early June each year. 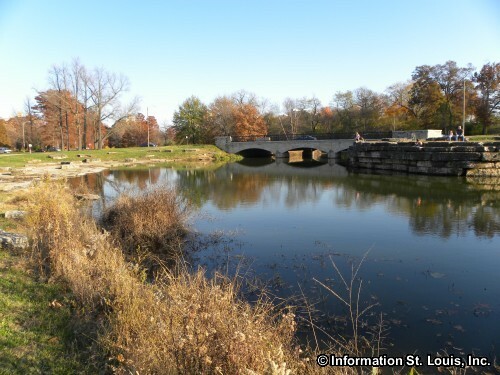 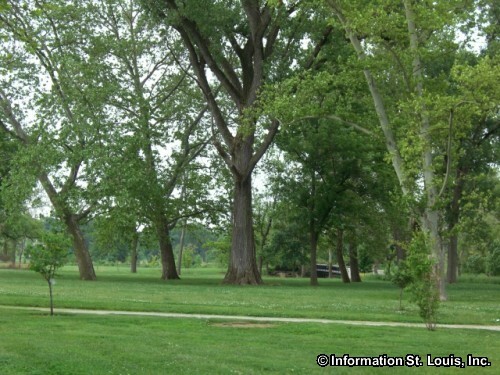 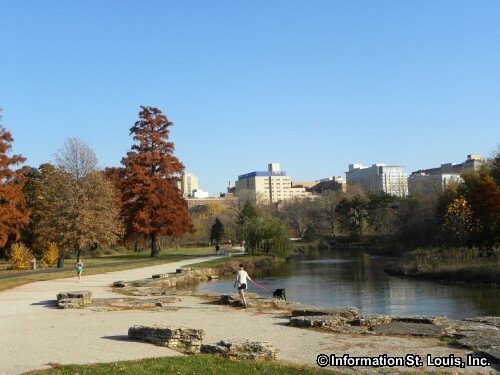 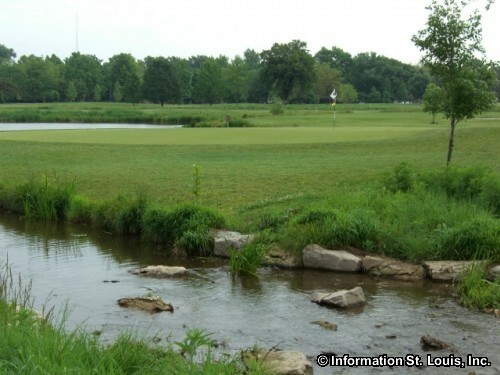 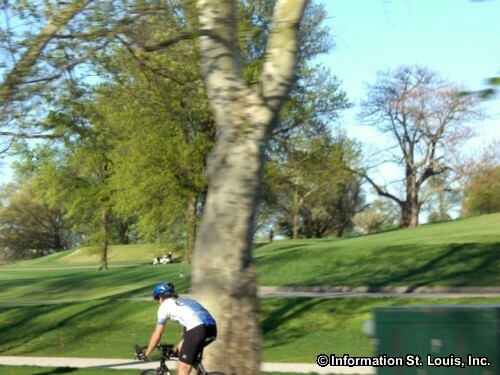 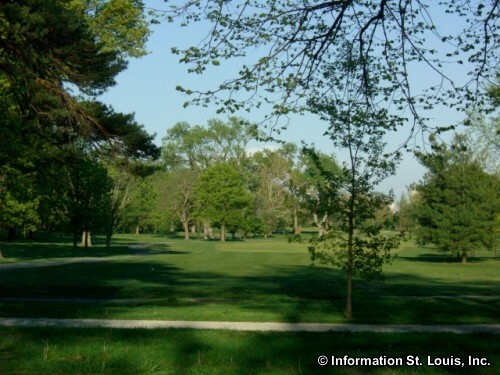 Cyclist, joggers, walkers and nature lovers equally enjoy the paths, trails and open green spaces of Forest Park as a natural "oasis' in the city of St. Louis. 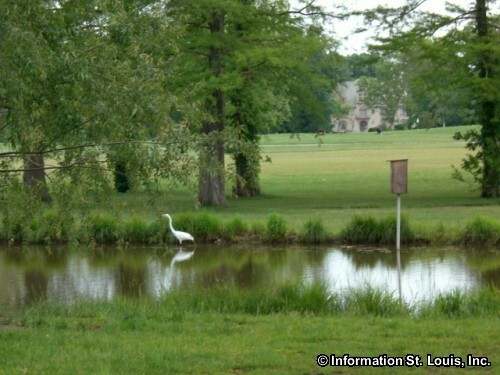 Amenities: 1370 acres of parkland with 14 picnic site and pavilions, a playground, Steinberg Skating Rink (seasonal), an archery range, 4 raquetball courts, 8 miles of paved trails, 6 softball fields, 2 volleyball courts, 4 handball courts, 2 rugby fields, 5 soccer fields, 17 tennis courts, 10 lakes which cover 45 acres of land (some stocked), as well as the above listed attractions. 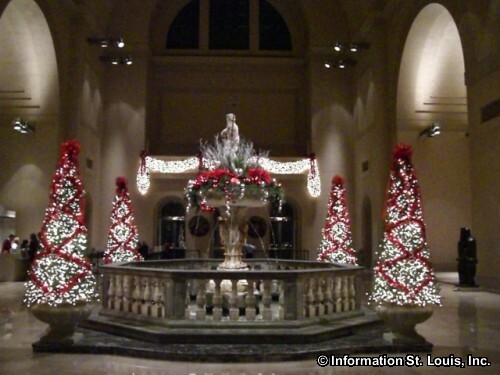 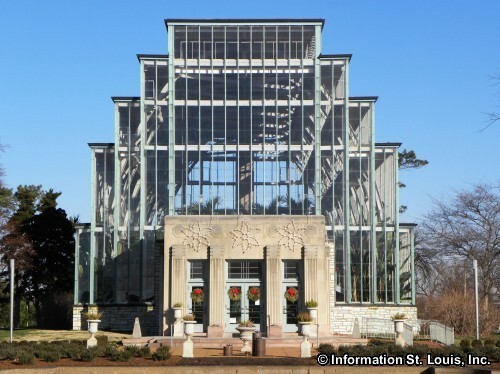 The Jewel Box in Forest Park decked out for Christmas!